Kayo Hosaka is a craft person. 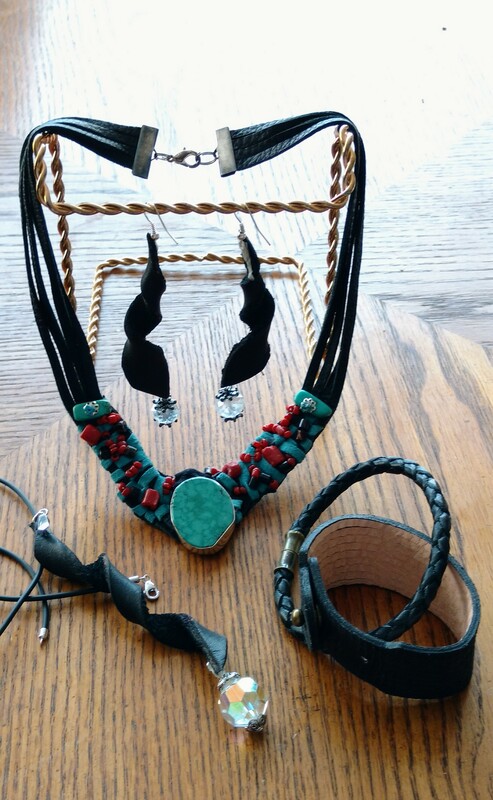 Living suburban area of Vancouver, selling original jewellery, leather accessories and started Kimono recreated outfit in local craft fairs and out side of town. I was born in Yamanashi Japan. After graduated hi-school, I went to USA then Mexico-city. She studied BA of fine art at University of las Americas in Mexico city. Since a little girl creating the accessories and jewellery, many type of crafts became her passion. Also in Mexico she worked craft area and jewellery design exporting to Japan constantly. Japan, USA, Mexico & Canada, living in those countries cultural influences reflect to her works. Kayo would like to express her love and passion for creating any media that appear to her for each decay. Through to her creations, if she can make any positive comments and a little happiness to the people, she would be delighted and feel complished. Of course researching the techniques, proper materials and trends are very important for her. For aboves it doesn't matter any efforts to be paid.